This home is show ready and has many designer custom features and curb appeal! The features are not limited to the list provided: custom granite counter tops, wine bar, all wood custom cabinets, stainless steel appliances located in the open kitchen with an island counter bar and storage space. Master bath has a stand alone jetted tub, separate shower and a room for a closet! The accent of the crown molding through out the house and the designer tile flooring adds a special touch. The garage has built in cabinets for additional storage and the attic has base flooring for storing all those other items. Enjoy the screened, private lanai with lighting and sundeck flooring overlooking mature landscaping. The home is located in the beautiful community of Heathrow. Enjoy leisure walks in wooded walking paths, picnics in the Parks, scenic water features throughout. Inquire about all the amenities offered by Heathrow Country Club. 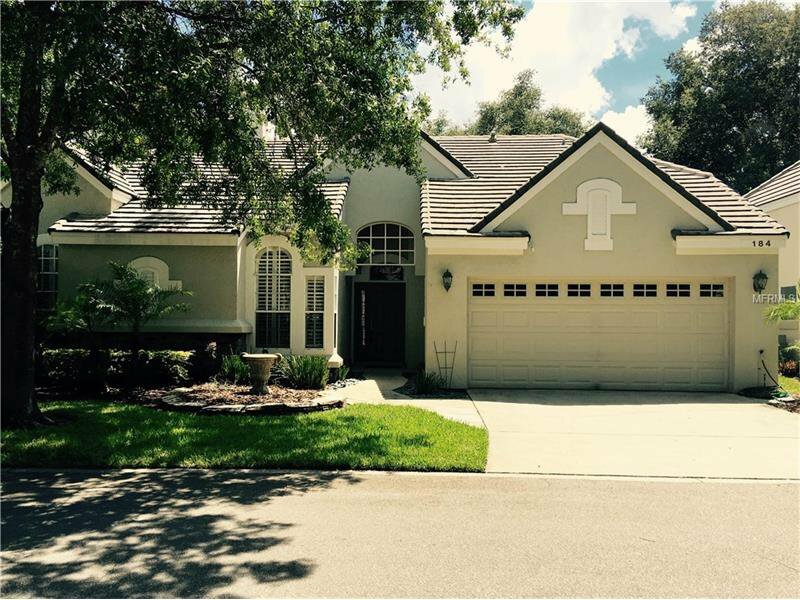 This home is nestled in a beautiful enclave but has convenient access to I-4, Colonial Town Center, Seminole Town Center, shopping and restaurants. Listing courtesy of Palm Properties of CF, Inc.. Selling Office: COLDWELL BANKER RESIDENTIAL RE.